RAWALPINDI: Security forces killed two terrorists and seized weapons in an Intelligence Based Operations on militant hideouts in Balochistan. 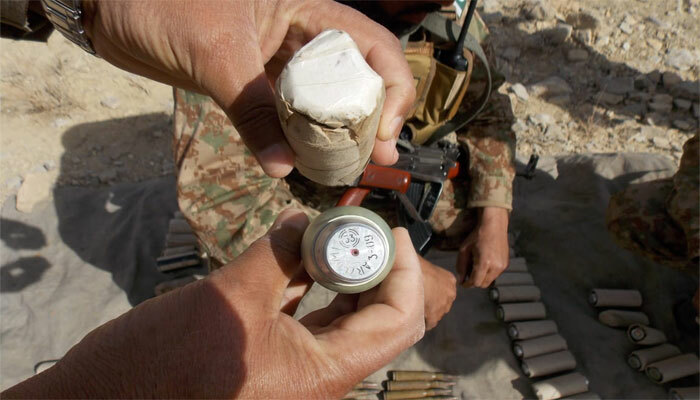 Inter Services Public Relations (ISPR) in a statement said, as part of operation Radd ul Fassad, FC Balochistan conducted IBOs on suspected terrorist hideouts in Kalat, Kharan, Maiwand areas of Balochistan. During Operations two terrorists killed, ISPR said. The statement added that weapons and ammunition including Sub Machine guns, IEDs, grenades, mines, RPG-7 rockets and communication equipment also recovered.